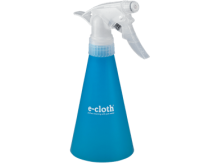 e-cloth’s Hob & Oven Pack is all you need to clean your cooker – tackling grease and heavy cleaning with just water. 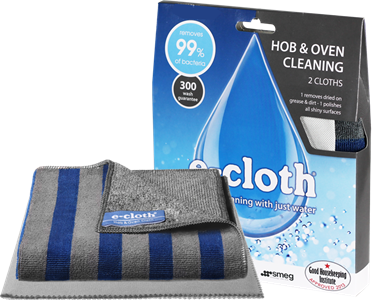 The pack contains a dual sided Hob & Oven Cloth with toughened ﬁbre stripes, to quickly and easily remove hard, dried on dirt. The smoother side is for general cleaning, removing grease, dirt and bacteria. 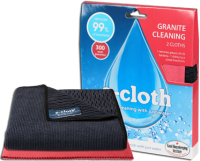 The Glass & Polishing Cloth brings a perfect smear free ﬁnish to all shiny surfaces. 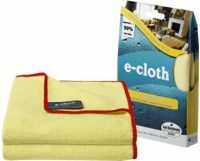 Both cloths are great on stainless steel, ceramics and other hard surfaces.